If you are unfamiliar with the Big Green Egg for outdoor cooking, it is a smoker/grill that is big, green and literally shaped like an egg. Its unique ventilation system allows for excellent heat control and the ceramic shell of the egg allows you to cook at extremely high temperatures. Want to smoke meat at a low temperature for hours? The Big Green Egg is quite versatile and allows you to do both. One thing about the BGE is that can be tricky to get the hang of temperature control; getting used to it may make you feel like you are learning to cook all over again. It was worth the effort, though. One early food to master is beef kebabs. These kebabs are tender and flavorful and come out beautifully on the Big Green Egg. Twenty four hours prior to grilling, prepare marinade by combining olive oil, vinegar, coriander, garlic, cumin, and paprika. Pour marinade into freezer bag and add beef cubes. Allow to marinate in the refrigerator until ready to grill. 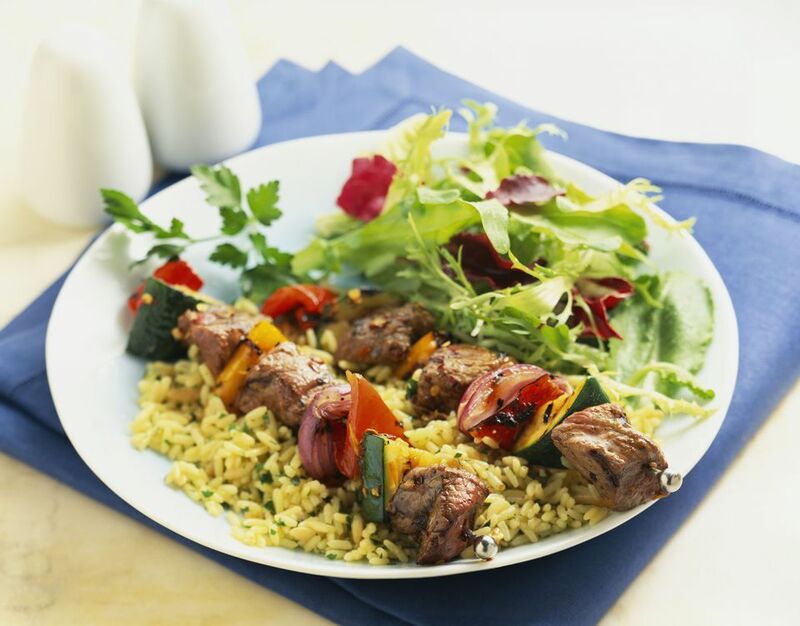 Remove from refrigerator and thread meat onto skewers that have been sprayed with cooking oil. Spray grill with cooking oil to prevent sticking. Grill for 5 to 7 minutes on each side or until the meat reaches desired doneness. Serve over a bed of white rice, salad, and pita bread.